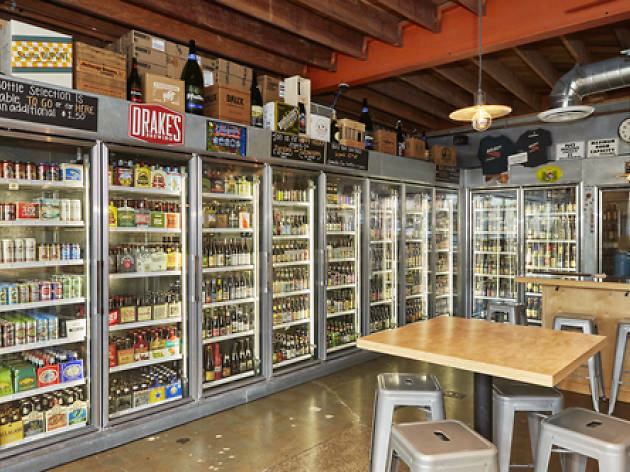 Tucked away on a idyllic stretch of Redondo Beach, Select Beer store is the perfect place to while away an afternoon shopping for, talking about and drinking delicious beers. 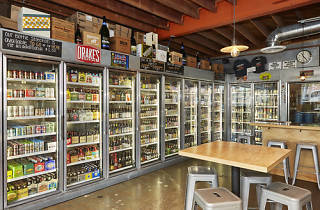 With coolers on one side of the shop and shelves on the other, the middle is a wide open area where friendly and knowledgeable clerks fill glasses from one of the shop's 17 taps. The store’s wood accented concrete interior maintains the hip, beachy vibe, complementing the shop’s wide selection of West Coast and international brews. Select Beer Store runs a number of beer- and community-focused events, so check their calendar to see what’s happening. Always a great selection on tap, and an impressive array of bottles available too. I love to come in for an afternoon drink (or three) and pick up some Riviera Mexican next door. The vibe is mellow, the staff is knowledgable and they are the only place in the South Bay with my favorite craft from Oregon. Best beer shop in LA! Best place to find and drink amazing beers. Great staff, great customers and a haven for beer lovers. Go check this place out! Best beer store in the area by far. Very knowledgeable and staff!